Unparalleled beauty, historic significance and invigorating outdoor adventures await at national parks scattered across the country. But which of these are at their best during winter? From the Pacific Northwest to the Eastern Seaboard, the United States offers a wealth of national parks to choose from. Just be sure to be cautious, as the elements can be unforgiving. "Weather is extremely unpredictable and road closures or delays can occur with little or no warning. Please come prepared," said Morgan Warthin, spokeswoman for Yellowstone National Park. "Carry personal emergency survival equipment and dress appropriately for outside activities in extremely cold weather." Ice fishing and dog sledding are among the activities awaiting at this crown jewel of the North Atlantic Coastline. Sixteen stone bridges and 158 miles of hiking trails reside here at the highest rocky headlands along the nation's Atlantic coastline. 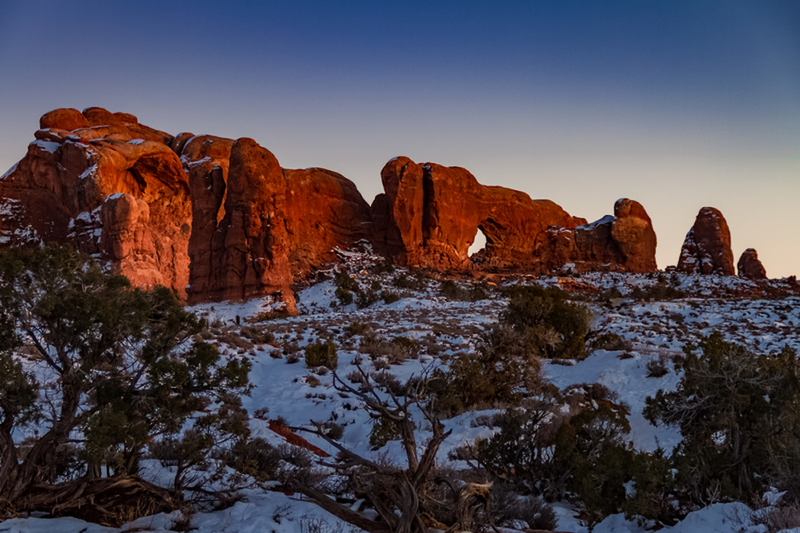 Scenic at any time of year, a dusting of snow only adds to the technicolor majesty of Arches National Park. Bundle up, because temperatures will definitely be frigid. And beware, even light snowstorms at Arches National Park can make roads and trails impassible. Keep an eye on the forecast and plan ahead. Visiting in between November and February? Consider securing a campsite at the Devils Garden Campground. But hurry, it's first-come, first-served. The campground has drinking water and restrooms, though collecting firewood is prohibited. Firewood can be purchased at the visitor center in Moab. Expect certain park roads to be closed for a few hours for plowing after a snowstorm. 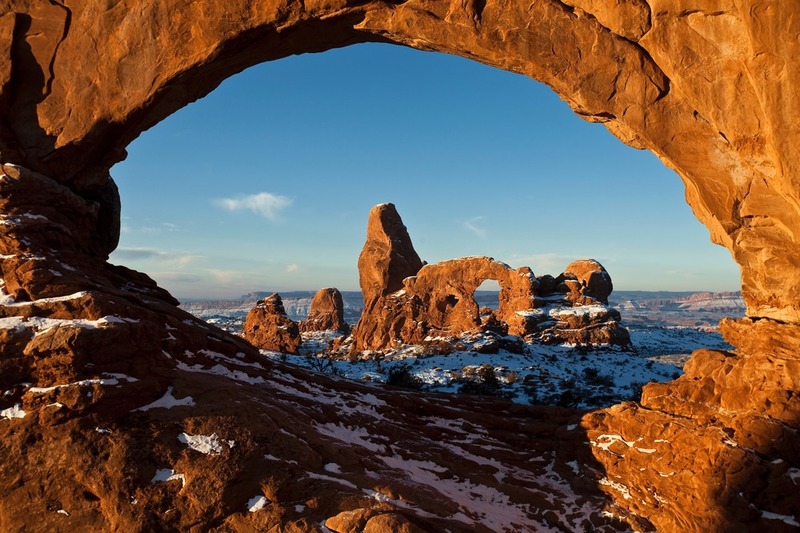 There is a 28.3-mile driving tour that showcases the delicate rock formations and waterfalls, like Balanced Rock, La Sal Mountains Viewpoint, the Windows District, the Skyline Arch and more. Bryce Canyon National Park. Utah. Simultaneously beautiful and dangerous during the winter, Bryce Canyon National Park is a popular destination for winter stargazing. Only the most prepared and experienced hikers can secure a backcountry permit during the winter. Hiking boots are mandatory for all hikers, while traction devices are highly encouraged. Crater Lake National Park. Oregon. More than 44 feet of snow fall at this national park near the Pacific Ocean every year. This of course means ample opportunities for skiing, snowshoeing and sightseeing, just be prepared for road closures. Crater Lake National Park is accessible year-round from the south or west on Highway 62. The road to Rim Village, which offers commanding views of the lake, is typically open most of the year. A shift in seasons reveals another side to this picturesque national park. 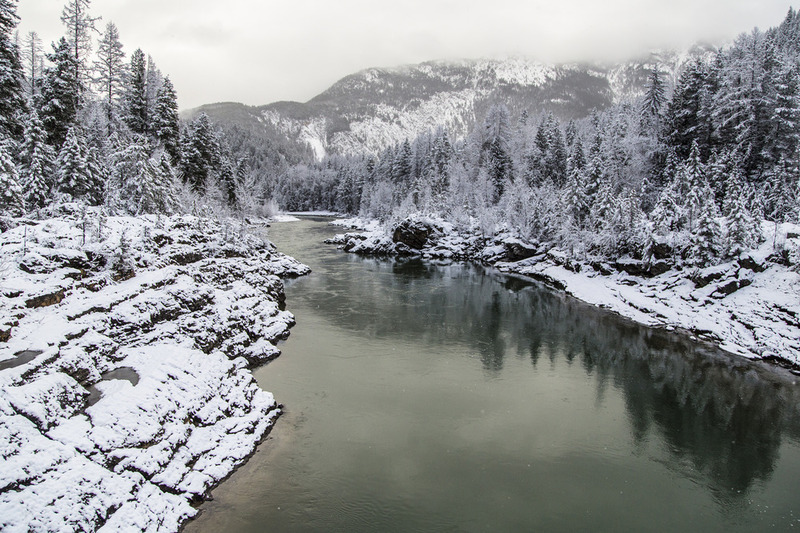 Snowshoers and cross-country skiers are urged to take precaution when traversing the park in winter, as certain areas are vulnerable to avalanches. Ranger-lead snowshoe trips are available during the winter. Campgrounds are limited, though winter camping is allowed in the Apgar Picnic Area. A permit is required for all overnight trips into the park's backcountry. Joshua Tree National Park. California. Winter in a desert. Perhaps you'll see the park's namesake flora bearing a dusting of snow. Heavy rains in October caused flash flooding, though entrances to the park remain mostly open and accessible. 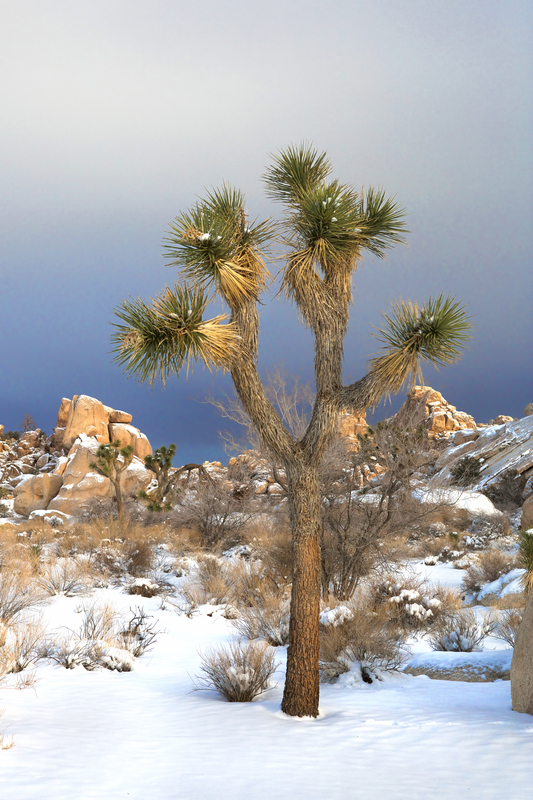 Stargazing is great in the desert, and winter at Joshua Tree National Park is no exception. The vast, dark sky sets the stage for a celestial spectacle. Average temperature in the park during winter days is a comfortable 60 degrees, while the mercury dips below freezing most nights. The Wall Street Mill and Hidden Valley Loop are two popular hikes, while the four-mile hike up Ryan Mountain offers sweeping vistas from the summit. Wrangell-St. Elias National Park. Alaska. 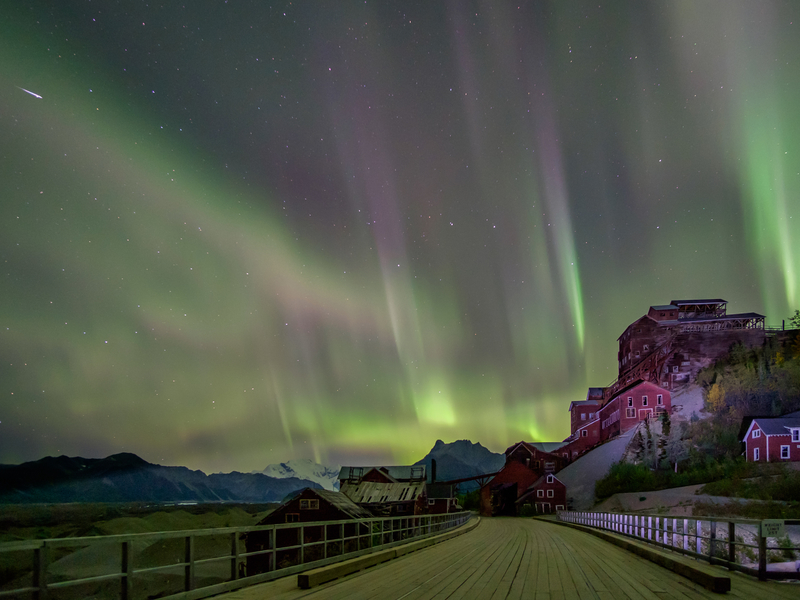 If you're able to brave sub-zero temperatures and more hours of darkness than daylight, this remote destination rewards visitors with vibrant auroras in its vast sky. The park remains open all year long, though the visitor center and ranger stations shut down during the winter. So that means plan ahead and bring everything you will need. Water, non-perishable food, a first-aid kit and other practical survival items should be in your camping gear. Plenty of the park's wintertime visitors opt for a snow machine, also known as a snowmobile, to traverse the landscape. Also, a word of caution to hikers here: Trapping is legal, so stay on the hiking trails, according to the NPS. Yellowstone National Park. Idaho, Wyoming and Montana. Want to see the scalding bursts of Old Faithful spout into a snowy sky? It's doable, but it takes some effort to visit the country's first national park. Yellowstone's park roads typically close to regular traffic in mid-November. However, the road between Mammoth Hot Springs and the northeast entrance remains open to regular traffic all yearlong. By mid-December enough snow has accumulated to allow "oversnow" travel, meaning the only way to see Old Faithful and the Grand Canyon of Yellowstone is by a snowmobile or snowcoach. Expect hazardous driving conditions. Black ice and whiteouts are prone to happen during winter, so drive carefully and defensively. Frozen streams, icy waterfalls, foggy basins and snowcapped peaks await at this classic national park. As with other national parks, anticipate weather-related road closures and keep an eye on the forecast. Then grab a pair of snowshoes and hit the trails. Three of the park's entrances stay open throughout the year, though a few roads tend to close from November through May. These include Tioga and Mariposa Grove roads. When Mariposa Grove Road is closed, visitors must proceed on foot (or snowshoes/skis) in order to reach Yosemite's iconic Giant Sequoias. When Tioga Road closes, drivers lose access to Yosemite's high country. However, the first 5 miles of Glacier Point Road routinely remained plowed so drivers can still access the Yosemite Ski and Snowboard area. World War II Valor in the Pacific National Monument. Hawaii. While technically not a national park, memorials to the USS Arizona, USS Oklahoma and the USS Utah are operated by the US National Park Service. Every December 7 marks National Pearl Harbor Remembrance Day, when survivors of the 1941 attack are honored and those who died are remembered. There's more than 400 national parks employing about 20,000 people in the United States. 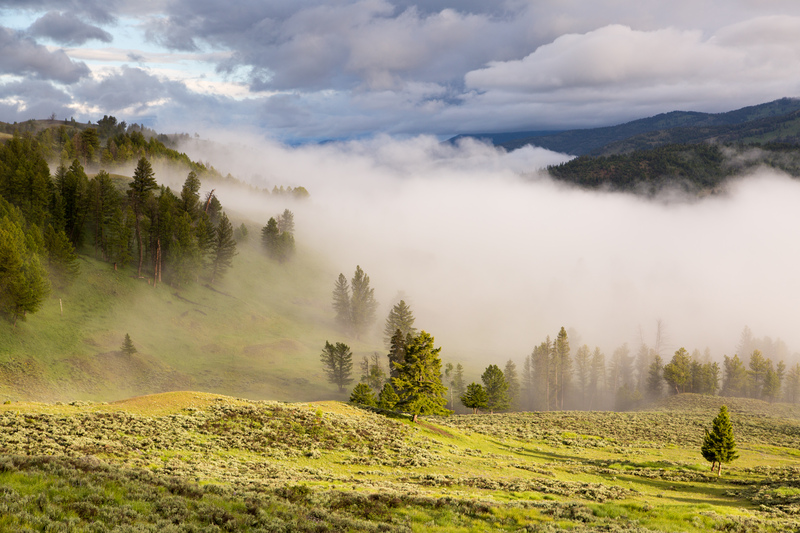 The service traces its roots back to 1872, when Yellowstone was merely a public reservation. Artist George Caitlin is credited with being the first to voice the concept of national parks. The painter did so in 1832, though his suggestion hardly made it beyond the artistic community. It would be decades before the idea was adopted politically. President Theodore Roosevelt signed the Antiquities Act on June 8, 1906, and named Devil’s Tower in Wyoming the first national monument that September. About 20 sites were designated national monuments by August 25, 1916, the day President Woodrow Wilson signed off on the creation of the National Park Service. The highest point in North America (Mt. McKinley, aka Mt. Denali) stands 20,320 feet and is located within Denali National Park and Preserve, Alaska. California and Alaska are tied for most National Parks in the country. Each state has eight such parks.